Matteo Darmian stepped out onto the global platform with a stellar performance worthy of “Bell’Antonio”, as he helped the four-times World Cup champions get their 2014 campaign underway on a positive note. As Italy recorded a crucial and impressive 2-1 win over England in Manaus on Saturday evening, there was one particular youngster who saw his assets rise after the display. His name may leave the Milan fans twitching in disbelief that another talent no longer treads the training grounds at Milanello, but for the Azzurri supporters Matteo Darmian gave the nation something to smile about. At the age of 24, the Torino man was thrown into the deep end when he handed his World Cup debut against rivals England after getting the nod ahead of Milan right-back Ignazio Abate. Not only was it a massive game to deputize Cesare Prandelli’s regular in the national team, but it was also his second only appearance in the national colours- the 5ft11 defender only made his debut for Italy in the 0-0 draw against Ireland just two weeks prior to kick-off. “Darmian was resounding. I liked him in both phases of play,” Gialuca Vialli said on Sky Sport Italia after the match. Born with Armenian decent, the youngster started off his career at sleeping giants A.C Milan back in 2006 where he was given the confidence by then coach Carlo Ancelotti. He made his first-team debut for the Rossoneri on 28 November 2006, aged only 16, in a Coppa Italia game against Brescia in which he came on for Kakha Kaladze to play a full 45 minutes. Darmian later enjoyed a loan spell at Palermo before joining Torino in Serie B for the 2011/12 season. It was here where he was given freedom by Giampiero Ventura to express himself on the park and he shifted from a central defender to a right-back. Promotion back up to the top-flight of Serie A followed just eight months later, and it was at the Olimpico where he started to capture the attention of the league. His continuously consistent displays, where he played all but one match for Torino this season, lead the Granata to a seventh place finish. "If I'm here it is thanks to Torino and especially to (Torino coach Giampiero) Ventura,” said Darmian. “Ancelotti granted me my league debut, but it's Ventura that has given me the playing time and made me grow as a player. These two coaches are very meticulous and at this level you need that." Against England, the Legnano-born player showed a great passage of play in both areas of the field. Defensively he held his own, won duels on the field but it was his rampaging runs up the flank that saw him leave England in shock. Combining with Lazio’s leading goalscorer for the season, Antonio Candreva, the Milan-product showed surprising technique, attacking threat and a potent foot that left Joe Hart rattled in between the poles. Pundits around the world were mainly focused on the absence of Gianluigi Buffon and his former Primavera teammate Mattia De Sciglio to direct any form of attention on Darmian. It was probably the best thing for him, as no added pressure was placed on his shoulders, and he pulled off a display that was reminiscent of Antonio Cabrini. “Darmian played very well, he is a lad who arrived with the right enthusiasm and is making his mark,” commented Prandelli after the win over the Three Lions. 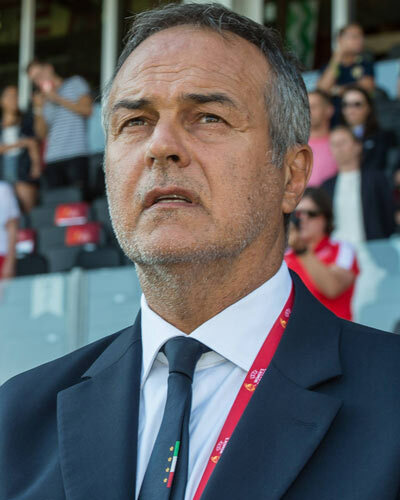 The former Juventus full-back featured for the Azzurri in the 1978 World Cup despite being uncapped, and, like Darmian, Cabrini made his first team debut at the age of 16. While to top it off, the former Novara coach’s technical abilities is said to be echoing through the slim-framed player. Darmian’s display was only a bonus to the regular Serie A spectators, but after introducing himself to the world in a style worthy of the catwalk in Milan fashion week, there are now great expectations on his shoulders. One thing that is for sure, what is now Milan’s loss is both Torino’s and the world’s gain.